Window replacement can be an uncomfortable ordeal without adequate research. Pushy salesmen are numerous on the remodeling scene, so it’s best to have a solid plan of attack before testing the home improvement waters. Use these tips to get the best windows for your home. 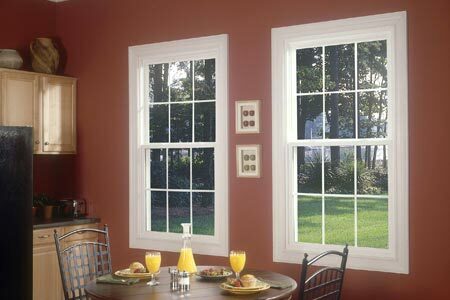 Although a significant expense, vinyl replacement windows compare modestly to the costs associated with custom wood windows. For a typical window size, window prices can range from $300 to $800 per opening for an Energy Star compliant product. Prices will obviously vary according to your level of customization. Do you require double hung windows, which help ease the task of window cleaning? Or do you live in a coastal area, and are in need of hurricane-rated impact glass? Decisions such as these can greatly affect your bottom line investment. Another important point is to determine who is actually performing the window installation. Does the contractor use employees or subcontractors? Remember, this is your home – your greatest investment. Make certain that you are dealing with a contractor who only uses professional employees. Furthermore, ask to see all pertinent licensing and insurance. If a contractor is willing to cut corners by not following lawful industry procedures, then what do you think that contractor will do in terms of fulfilling your contract? Check with your local home builders association and Better Business Bureau as they can be a helpful guide through this vetting process. The best price is out there, and a little bit of due diligence should reward your efforts nicely. Good luck! Get helpful advice by requesting a FREE in-home consultation. A Majors Home Improvement design consultant will be happy to show you the features and benefits of installing new vinyl replacement windows in your home.